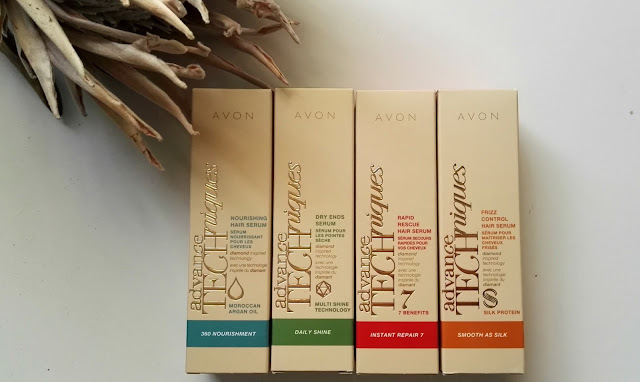 You will be seeing this type of post on a rather regular basis as Ill be updating you on new Avon products on the market as well as Avon's best selling items. So that you are well aware of what to look out for. 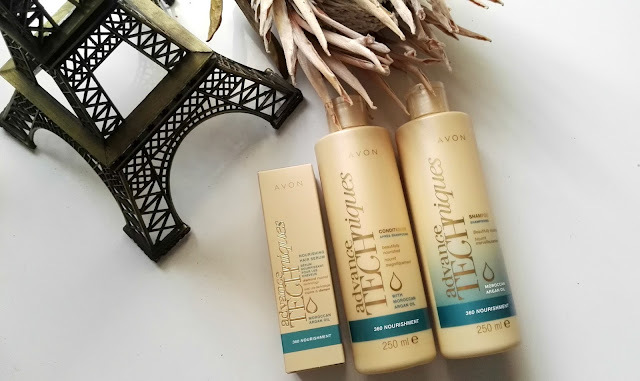 So first on the cards has to be Avon's #1 choice for everyday beautiful hair. 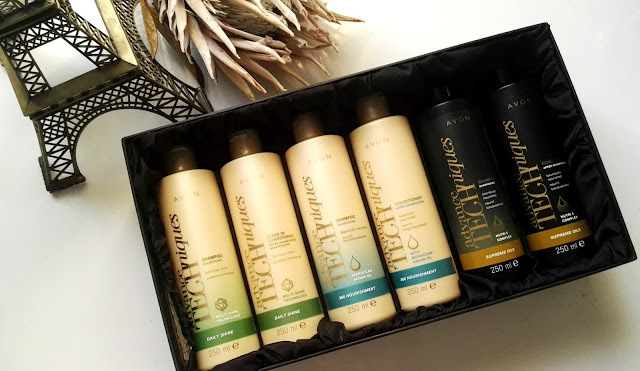 The advance TECHniques professional range has new new & improved premium packaging endorsed by New York Hair Experts. Often we use hair-care products without knowing the exact purpose. Well Shampoo is used to cleanse, repair & strengthen hair as well as remove unwanted build-up. Conditioner is used to reseal newly opened, cleaned follicles & treatments and masks should be applied 2-3 times a week to enhance the efficiency of the shampoo & conditioner. This range is formulated with Multi-shine technology & moisturizing Pro vitamin B5 to leave hair with 200% more luminous shine for up to 3 days. This range nourish, smooth & restructure dry damaged hair. These products are infused with Argan Oil + Pro vitamin B5 + vitamin E to combat frizz. Your hair will be 73% smoother & 93% more manageable. 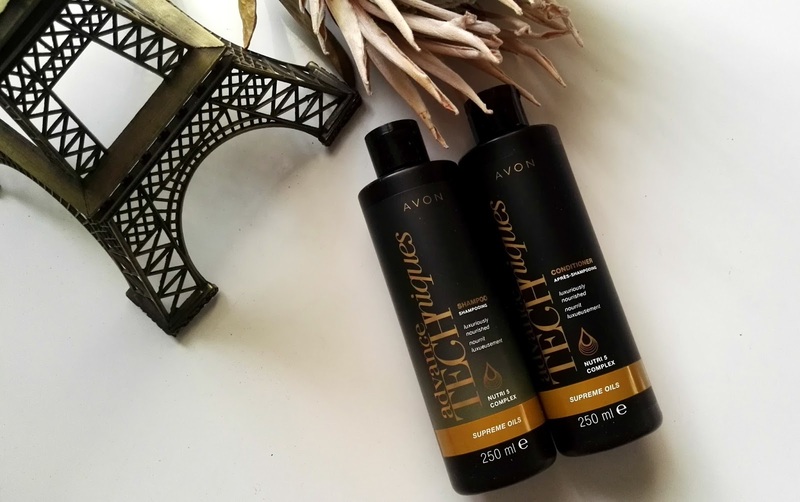 This range is formulated with Nutri-5 complex for salon- perfect hair, intensely nourished, healthy & incredibly soft hair from 1st use. This product includes 5 precious oils Macadamia oil, Camelia oil, Almond oil, Grape seed oil, & Marula oil. Along with the Avon advance TECHiques hair range, Avon has now formulated a new & improved formula serum which is inspired by there Diamond Technology. This means that there hair serums now has added ingredients that nourishes the hair follicles to make it stronger. This new added benefit will help to make hair 5 x stronger.